im looking for a cheap starter rifle to do some distance shooting! what does everyone think? the remington sps varmint or the savage varmint line? let me no what u guys think of these and why! hope to get some feedback! Cheap and distance shooting really dont belong in the same sentence. What caliber are you considering and which models. Without knowing that --- to go distance I'm thinking heavy barrel Remmington possibly a PSS (168gr) .308 or an R5 milspec (175 gr) Rem 700SS or a 700VSF or . The Savage 10 FP is a good choice also but none of these is "cheap" Also if you tell us in yards or meters what you mean by distance shooting as 200 yards is distance as is 600 yds or 1000 yds. My definition of distance shooting would be from 600 yds out but some guys may thing 200 yds is a long way. To get past 750 yds accurately not only does the rifle have to be really right but the selection of ammo and caliber must be up to the task as you need heavier bullets. A heavy barrel remmington would be my first choice in a factory gun and a GA Precision custom built rifle would be more likely to be right and true at 600 yds + The DPMS Panther .308 is a fairly accurate out of the box rifle also. i agree with Urimaginaryfrnd savage has steped up to the plate in the last few years its hard for any gunmaker to compete with a rem 700 the action and triggers are a great foundation for a long range gun. alot of custom gun makers use the 700 action. savage has a great firearm aswell ihave both of them rem 700 varmiter hs stock chambered in 22-250 , savage with a boyds nutmeg thumbhole sporter chmbered in 7mm mag accu trigger. both firearms are shooters both shoot under an inch at 100 yards. Well there is nothing cheap about 950.00 + shipping, but since you mentioned the 5R mil spec. The reviews I've seen make it the clear hands down choice. In fact if 70% of what I read is true and I'm sure it's higher, it makes me want one. I mention that price because there was one on Gun broker last night and that's buy it now. I think there are 8 days left on it. Check some of the forums that pop when you search 5R mil spec. Good Luck! There are a number of accessories that can be purchased for the Remmy. Savage is coming around real fast though because there are alot of folks going with that line now. The market for Savage after market pieces is only going to increase. I like both, but because of the barrel interchange possibilities I go for the Savage. It is a deadly accurate piece of machinery, and is less expensive than the Remmy. Any specific model? I know nothing about Savage rifles. All are basically the same rifle in the Savage line. They are all based on the 10/110 line. 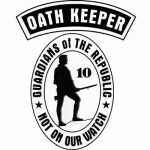 The 10 is a short action, while the 110 are long action rifles. I have the 10 fp (.308 and .300 wsm) and a 110 fp (7mm Mag) both are presently sitting in factory stocks that have had some work done to them. They shoot very well. Stocks and triggers are presently available for these rifles as are a number of barrel options, which are easy to change your self. Bolt heads are easy to do also on these rifles. With just a small amount of polishing the accu-triggers are sweet. hey again sorry for not giving u enough info to really answer. i would like to get out to about 600 yards. but deff not starting abou that far. i already shoot alot at about 200 yards with my .308 remmy sps no prob and can keep it in about 1 1/2 inches! iv just heard so much about savage and them being the way to go now. remmy having alot of qc problems! im looking to spend up to about 800 on the gun maybe a little less to start! i can always buy another if i want to shoot further and get more serious. im just lookin to have fun right now. Tell more about this simple barrel change. What kinda system is it that keeps head space and other issues of alignment in check? That is a good place for Savage info for sure. Sgt D, The barrel nut on the Savage allows for the barrel to be easily changed. Headspacing is easy as well, you can use a fired shell and screw the barrel in until it lightly seats. There are some that do it with unfired brass as well. The whole idea was to make a rifle that was easy to manufacture, but in doing this they designed some very user friendly traits into these rifles. What is the barrel availablity situiation as far as. Is there a large used barrel market or is Savage marketing switch barrels or do you have to have your switch caliber built? Or all three? It kinda sounds like a Encore thing. Note: For anyone searching Gunbroker for that 5R, It's gone! They are available from several barrel manufacturers. They can be made in several different calibers as well as barrel types and lengths. The Remington SPS Tactical is a pretty sweet deal. .308 or .223 and comes with a 20" barrel which I think is nice. The weak link has been reported to be the Hogue stock because it flexes, but for the money, you'd be hard pressed to find a better rifle to start out and you can switch out the stock later if it doesn't suit you. I held one at a gun shop and I liked the Hogue stock. Pretty fair review by Mel @ Sniper Central shows some good accuracy. I "stole" this from Sniper Central. Q: What barrel length is best? A: �Best� will depend on your unique requirements and preferences. For our purposes, we will assume the rifle is being used with a scope, negating the need for a long sight radius for iron sights. Tests have shown that short, heavy barrels are stiffer and can produce superior accuracy. The velocity loss with a .308 is not too significant until you go below 20 inches or so. Short barrels also keep the rifle at a manageable length for suppressor use. Longer barrels will give higher velocity than shorter barrels, have less muzzle blast, the extra weight will help dampen recoil and with a properly constructed rifle, the difference in accuracy is slight, especially under field conditions. So, like so many other things in shooting, barrel length is mostly a matter a personal preference, although anything longer than 26 inches might get a little cumbersome. I bought a Savage 10FP to shoot steel plates at 450-500yds because it's easier on me than my Remington Sendero in 300 Win. mag. So far the accuracy of both rifles is about the same (still working with both to find the best load). I had to replace the factory stock on the Savage because it didn't fit me and was just cheap. I love the accu-trigger, but the two things that detract from the rifle is the blind magazine and the rough action. Since this rifle is a range queen the rough action is not that big of a deal. However, the blind magazine has been a pain, the only way to empty the mag is to cycle the rounds through the chamber. I'd spend the extra money and get the Savage with the detachable magazine and better stock. You can order the parts to make that stock a drop floor magazine. I had found the website where you can order all sorts of good stuff. My take on the issue is that my 20 in Savage .308 is a very fun portable rifle capeable of good accuracy while my Rem 700 PSS police sniper rifle with its 26 in barrel is noticibly more accurate at 600 yds. Having both I am in the process of buying a Remmington 700 R5 milspec which I expect will out shoot both of these rifles by a significant margin and the R5 has the same rifling as the M24 U.S. Army sniper rifle which is designed for 175 Sierra matchking bullets where the Rem 700 PSS police sniper rifle is designed for 168 gr Sierra Matchkings. The advantage of the 175 grain bullets being their ability to retain energy out past 600 yds to the thousand yard mark and useable beyond that. There are a lot of good gunsmiths that can work on a Remmington and some that can work on the Savage usually different guys. With nothing done to the rifle by a gunsmith the Savage is probably more accurate out of the box but that isnt always true point in case is the R5 and I suspect we will continue to see some other very accurate rifles from Remmington. I am most likely to use the 20 in Savage for (law enforcement) carrying around all the time in case a sniper rifle is needed on short notice, but if I was going out to shoot targets I would buy the longer barrel rifle. I still think the DPMS heavy barrel 20 in rifle is also a very capable user friendly rifle that shoots well and if you want on that is really out of this world accurate one made by GAPrecision is worth what it costs (wish I had one).